Do you like working with your hands and figuring how things work under the hood of a car? Have you considered making it a career? Are you wondering what automotive technology is all about? Well, we have you covered. Automotive technology is a program focused on the mechanics and technology of driving today’s cars. Training at one of the colleges of DCCCD can provide you the skills you need to get started in the automotive field. Workforce Solutions of Greater Dallas’s targeted occupations for this year projects 5,150 job openings for auto mechanics. Think about it, millions of people travel to work every day, which means that eventually they will need to take their car to the shop to get something repaired or have maintenance completed. Automotive services jobs are in demand. Some job opportunities may include automotive services, repair technicians and transmission repair. What Kinds of Automotive Technology Degrees and Certificates Are Available? Brookhaven, Cedar Valley and Eastfield colleges offer various programs in Automotive Technology. You should also note that each college has different entry requirements, so please check with the Auto Tech department before enrolling. Service Technician Associate of Applied Science degree. Automotive Technology Associate of Applied Science degree at Dallas Community Colleges is recognized nationally and certified by National Automotive Technicians Education Foundation. This degree is offered at Brookhaven, Cedar Valley and Eastfield colleges. Chassis Service Technician Certificate. Can be completed in one semester and is offered at Brookhaven, Cedar Valley and Eastfield Colleges. Electronics and Climate Controls Technician Certificate. Can be completed in two semesters and is available at Brookhaven, Cedar Valley and Eastfield colleges. Engine Repair and Performance Technician Certificate. Can be completed in two semesters and is offered at Brookhaven, Cedar Valley and Eastfield colleges. Transmission Service Technician Certificate. This certificate can be completed in two semesters at Brookhaven, Cedar Valley and Eastfield colleges. High Performance Modification Certificate. This certificate can be complete in one semester and is offered at Eastfield College. In addition, you may want to check out the specialty programs where you can specialize in certain brands and get automotive technology jobs though these dealership-sponsored programs. Dealership-Sponsored Technician Associate of Applied Science degree. This is an associate degree from Brookhaven College with Ford. To enter this program, you must be sponsored by a participating dealership that is approved by the college. Toyota Technician-Training and Education Network (T-TEN) Associate of Applied Science degree. Start your career with important certifications from Toyota and industry organizations at Eastfield College. Honda Professional Automotive Career Training (PACT) Associate of Applied Science degree. Get specialized training to become a certified entry-level Honda and Acura technician at Eastfield College. Preventive Maintenance Technician Certificate. Can be completed in three semesters at Cedar Valley College. Where Can I Work With a Degree or Certificate in Automotive Technology? 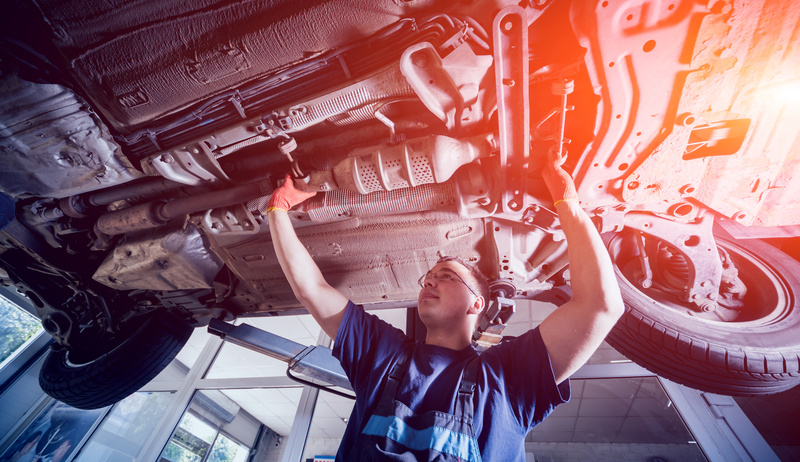 Automotive technicians continue to be in demand in an occupation that provides portable skills. More than 16 percent of service technicians are self-employed, more than twice the proportion for all installation, maintenance and repair occupations. Complete the admissions process for the college you plan to attend. Meet with an Automotive Technology advisor at your college. Be sure to complete the assessment test for placement in the program. Maybe working under the hood of a car isn’t your thing but you still like working with cars. Have you considered checking out Eastfield College’s Auto Body Painter Certificate? Or maybe street rods interest you? Check out the Custom Auto/Street Rod Fabrication Certificate at Eastfield College.